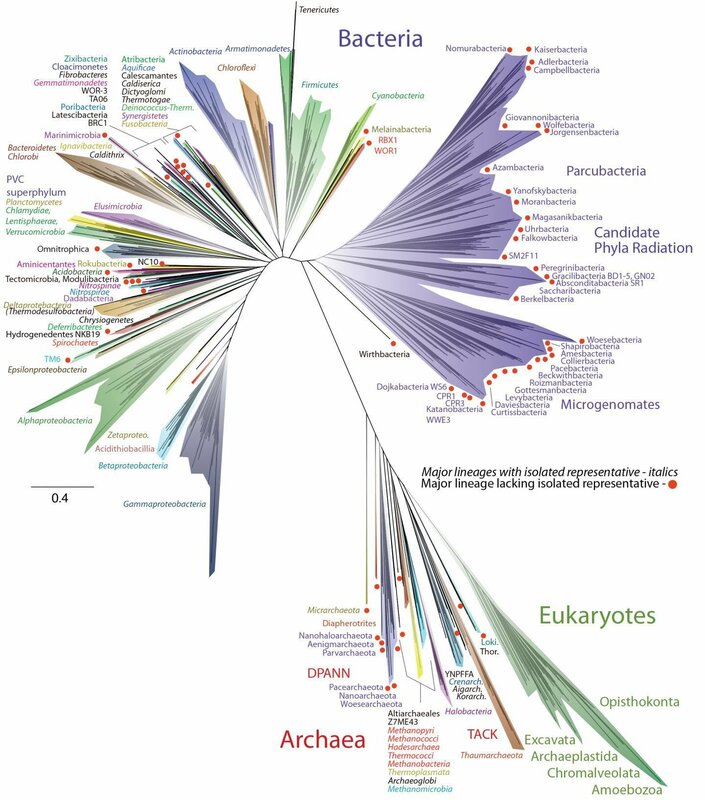 Human scientists, who like to put things in neat little boxes despite the deep, flawed weirdness that is Midgardian life, have recently come up with a new “tree of life,” showing the relationships between all living things on this rock. Predictably, most of the organisms are microbes. It’s a planet of microbes! Is it any wonder I saw it as ripe for the plucking? Wait a minute! Look! Look there–down near the bottom, just to the left of the green fan-shape that is all the Eukaryotes (organisms whose cells have nuclei.) See that one little branch? “Loki and Thor.” What? I don’t remember being asked to contribute a sample to this study! How did they get my DNA?! And why am I wedged in between two groups of unicelluar…things that can’t speak, think, or appreciate the subtle differences among shades of sarcasm between various forms of torture? Now, Thor! Sure, I can understand that–he’s about as complex as wallpaper paste, but me?